Rebel Without a Cause. . HD Wallpaper and background images in the James Dean club tagged: james dean movie film 1955. 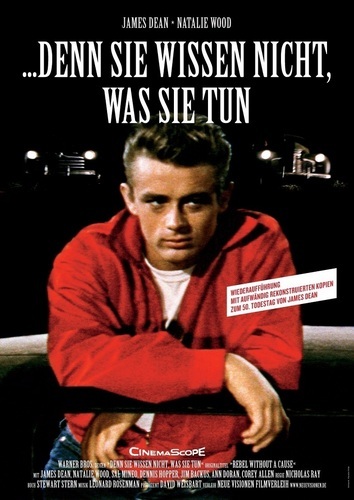 This James Dean photo might contain tanda, poster, teks, papan hitam, chalkboard, anime, komik, manga, kartun, and buku komik. Letters telah diberi to Jimmy from Pier including a locket she gave him with her picture in it. The script of East of Eden signed sejak the cast.